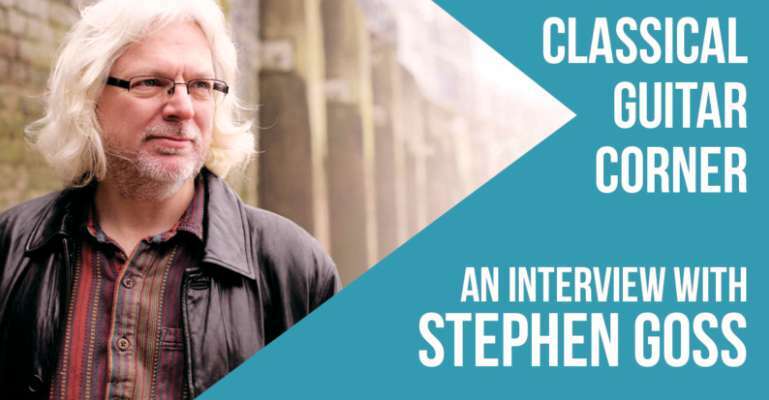 Matthew Wadsworth talks to Gramophone Magazine about Stephen Goss’s Theorbo Concerto ahead of its release on 22nd February 2019. Matthew Wadsworth talks to Sean Rafferty, on BBC Radio 3’s In Tune, about Steve’s Theorbo Concerto and The Miller’s Tale ahead of the 2018 North York Moors Chamber Music Festival. 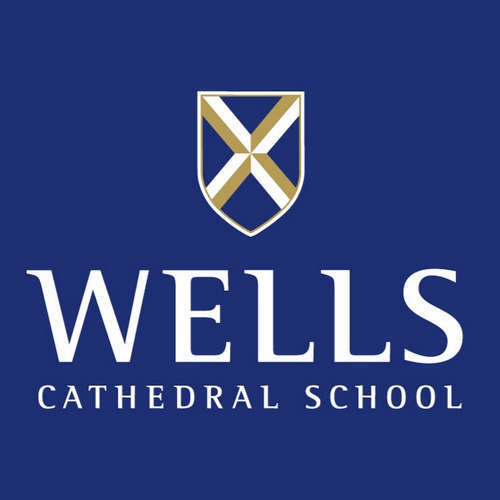 The programme was broadcast on 9th August 2018. 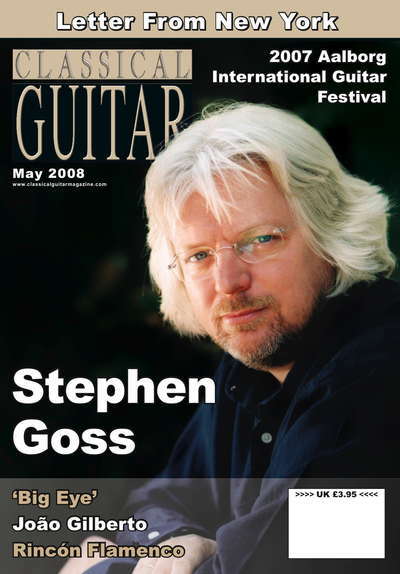 Classical Guitar Insider talks to Stephen Goss about politics, the British monarchy, nostalgia, history, culture and musical influences. Released July 2018. 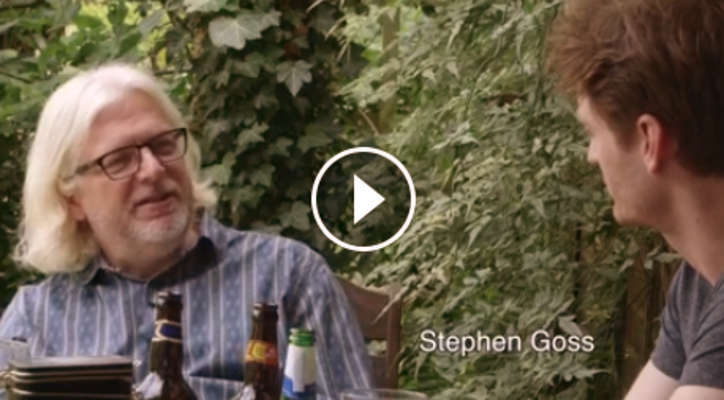 Ken Murray talks to Stephen Goss ahead of Steve’s residency at the University of Melbourne in July 2018. 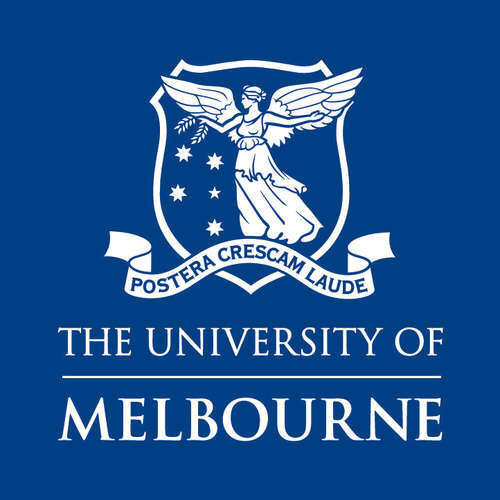 Stephen Goss was in Melbourne in July 2018 for a week long residency at Melbourne University working alongside Head of Guitar Ken Murray and the guitar students. Last Friday I caught up with Steve before the end of week concert presented by staff and student featuring Steve’s works. Released July 2018. 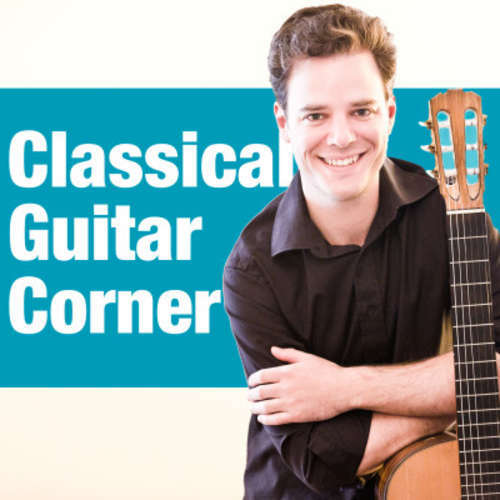 Stephen Goss talks to James Rippingale on the future of the classical guitar, composition, and his time as a student at Wells Cathedral School. Bridget Kendall and guests John Williams, Stephen Goss, Cenk Erdogan, Celine Camerlynck explore the history of the guitar. A conversation published in Autumn 2017 in Versopolis, The European Review of Poetry, Books, and Culture. John W. Warren askes composers Javier Farias, Jurg Kindle, and Stephen Goss about the practicalities of working as a composer. In this extended interview, Stephen Goss talks to Stewart French about his work and influences. Filmed by SL Chai at Putney Music in London, on 3rd October 2016. 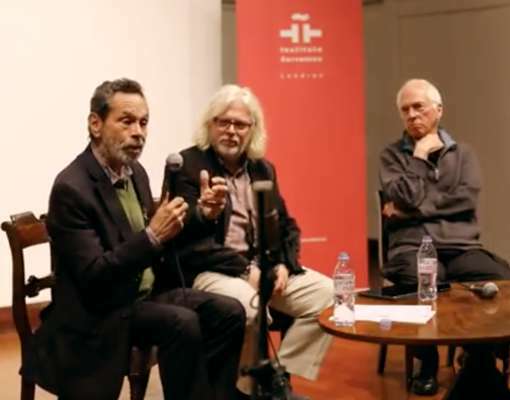 Stephen Goss interviews Leo Brouwer with John Williams at the Bolivar Hall in London as part of the Instituto Cervantes Leo Brouwer Festival, April 2017. Guy Traviss asks Stephen Goss about his music and his collaborations with guitarists John Williams, David Russell, Xuefei Yang and Miloš Karadaglić . The film was released on 30th January 2015 prior to the premiere of Cantigas de Santiago on 31st. 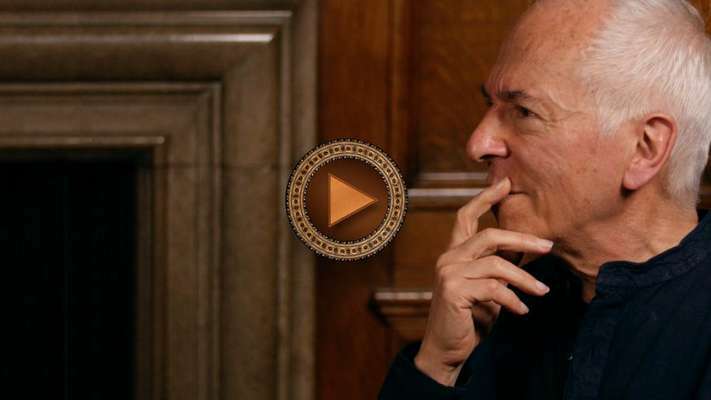 This extended four-part interview took place at the Royal Academy of Music in London on 6th May 2016. 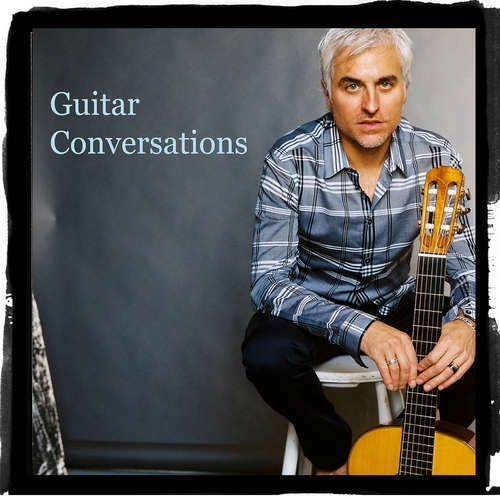 In this interview from August 2016, David Belcher asks Steve about several of his compositions for guitar as well as his collaborations with other guitarists. They also discuss the state of the classical guitar in today’s world. 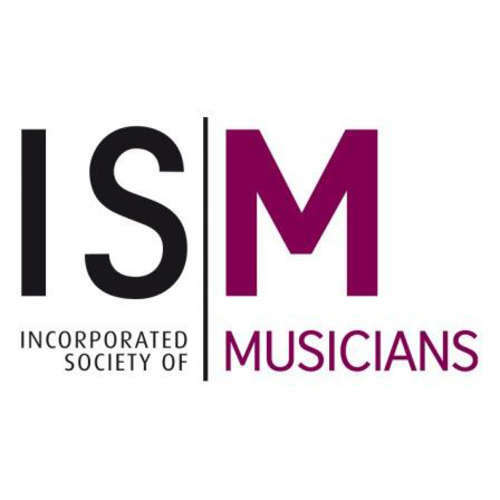 Eclectic Influences: An In-Depth Look at Stephen Goss’s Park of Idols for Cello and Guitar by Dr Kimberly Patterson (University of Memphis). 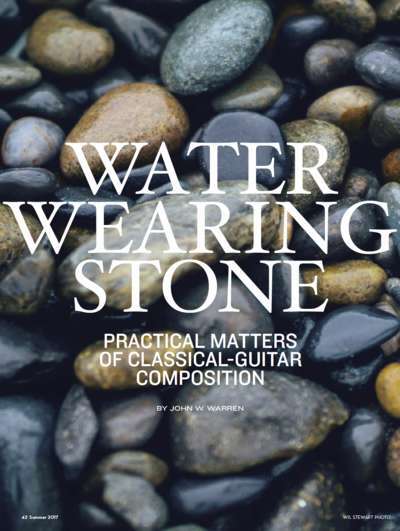 Published in Soundboard, the Journal of the Guitar Foundation of America, Vol.41 No.4 Spring 2016. 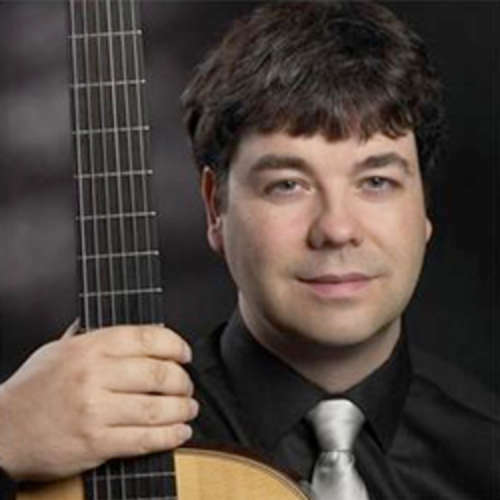 John Williams talks to Guy Traviss about his CD release of Steve’s Guitar Concerto. 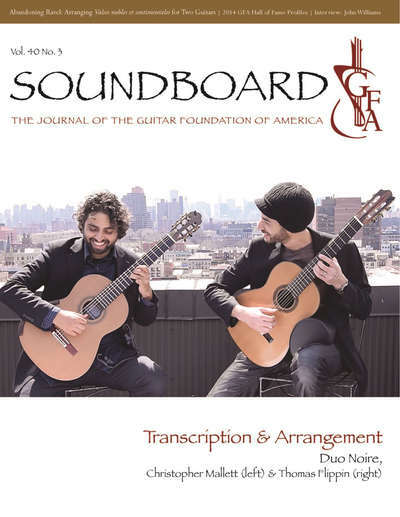 This interview was published in Soundboard, the Journal of the Guitar Foundation of America, in February 2015. 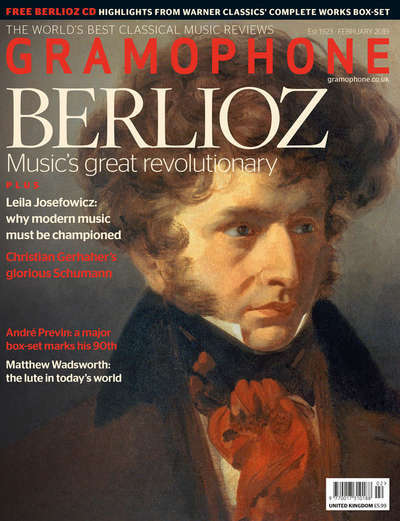 Tony Morris talks to Stephen Goss about his Albéniz Concerto. The show was broadcast on 30th January 2015. Xuefei Yang talks to Sean Rafferty on BBC Radio 3’s In Tune before the premiere of Illustrations to the Book of Songs. 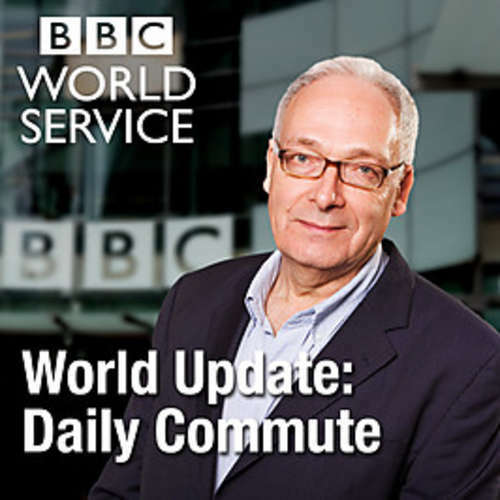 The programme was broadcast on 21st October 2014. 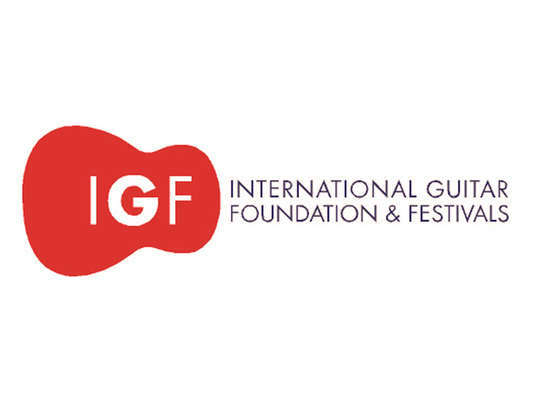 Suzy Klein talks to John Williams ahead of his performance of Stephen Goss’s Guitar Concerto at the Festival Hall in London. The interview was broadcast on 10th June 2014. Guy Traviss talks to Stephen Goss. 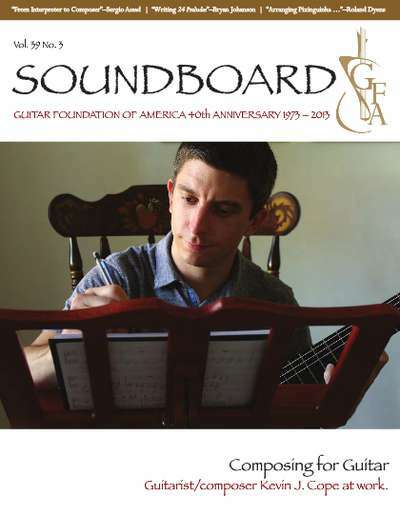 This interview was published in Soundboard, the Journal of the Guitar Foundation of America, in Spetember 2013. Rachel Tregenza from Nicky Thomas Media Consultancy talks to Steve about the forthcoming premiere of his Concerto for Five at Cadogan Hall. 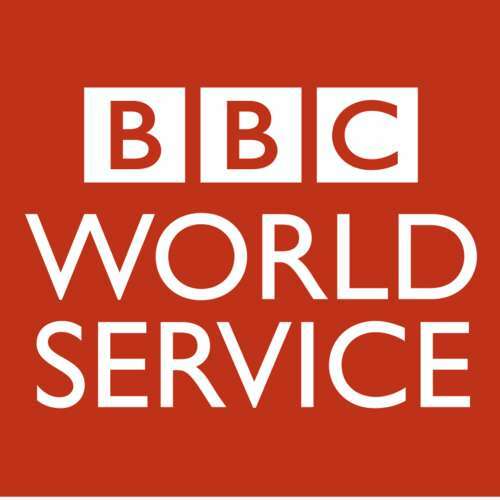 Stephen Goss was interviewed on the World Update programme on 26th April 2014 about the use of a tablet display during the premiere of his Piano Concerto. 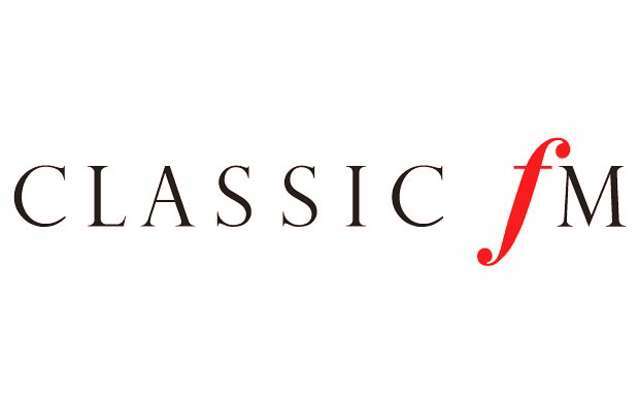 Emmanuel Despax and Thomas Carroll talk to Suzy Klein about the forthcoming premiere of Stephen Goss’s Piano Concerto on 25th April 2013 at Cadogan Hall. The programme was broadcast on 24th April 2013. 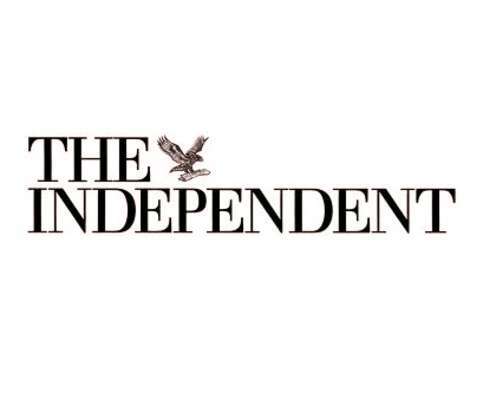 An article in the Independent about the forthcoming premiere of Stephen Goss’s Piano Concerto and how the work is based on the designs of Thomas Heatherwick. Published on 2nd April 2013. Thomas Carroll, Stephen Goss and members of the Orpheus Sinfonia talk about the orchestra’s 2012-13 season. 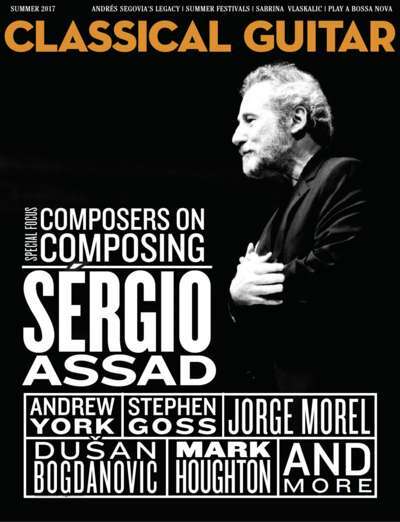 It features several performances of works by composer-in-residence Stephen Goss – including premieres of two new concertos, the Piano Concerto and the Concerto for Five. The interview was broadcast on 20th September 2013. 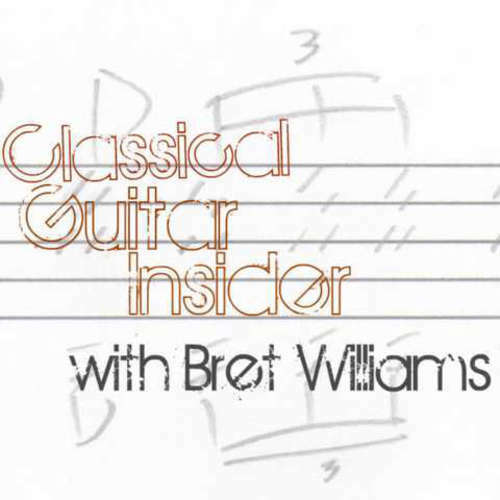 John Williams talks to John Brunning about Steve’s Guitar Concerto. The interview was broadcast on 19th September 2012. Sean Rafferty talks to Emmanuel Despax and Stephen Goss ahead of the premiere of Portraits and Landscapes at the Wigmore Hall. The interview was broadcast on 12th September 2011. 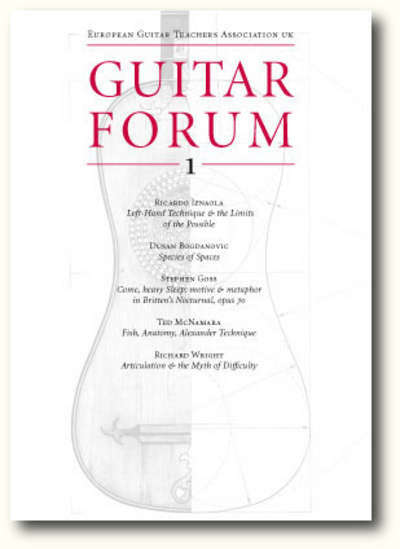 This keynote paper for the London Guitar Festival was given at the Purcell Room, South Bank Centre, London on 5th June 2011. The topic was the current state of new music for guitar. 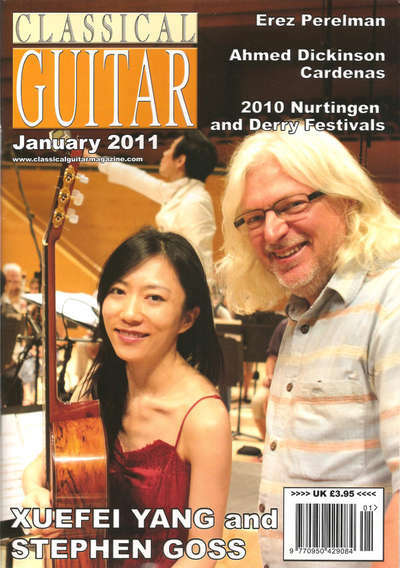 This article about Stephen Goss’s collaborative work with Xuefei Yang was published in Classical Guitar Magazine in January 2011. Natalie and Xuefei talk about The Autumn Song ahead of a tour Ireland. The interview was broadcast in March 2010. Sean Rafferty talks to the Primrose Piano Quartet about their ‘Variations on a Burns Air’ CD release. 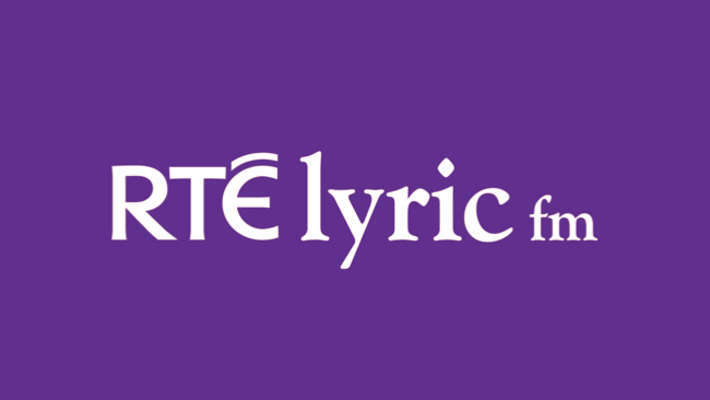 The programme was broadcast in February 2010. Natalie Clein and Xuefei Yang talk to Sean Rafferty on BBC Radio 3’s In Tune ahead of the premiere of The Autumn Song at the Wigmore Hall, London. Broadcast on 2nd February 2010. This article is an extract from Jonathan Leathwood’s PhD thesis (University of Surrey 2010). 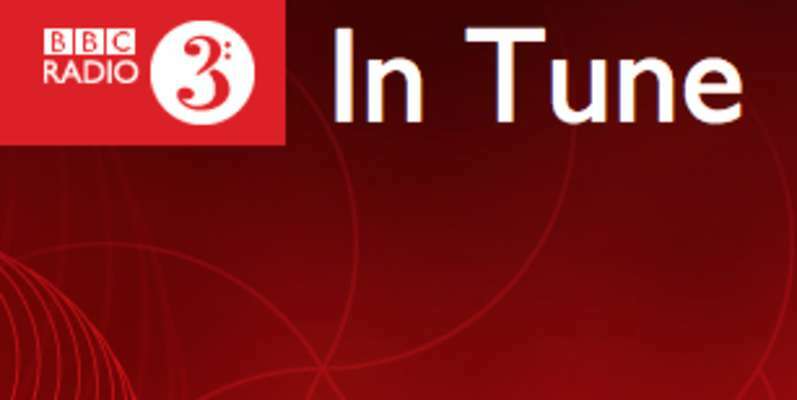 Sean Rafferty talks to Xuefei Yang on BBC Radio 3’s In Tune. She plays Blue Orchid from The Chinese Garden live in the Studio. The interview was broadcast in May 2009. Interview feature in Classical Guitar Magazine, February 2004. 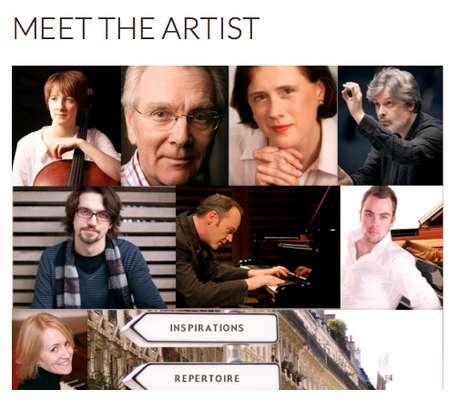 Myths of tradition and heritage in concert repertoire and didactic methodology. 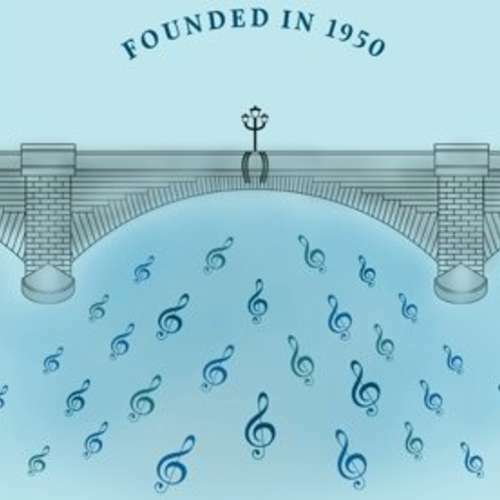 This publication was originally a unit from the Mtpp (Music Teaching in Private Practice) post-graduate course devised by the ISM in partnership with the University of Reading. 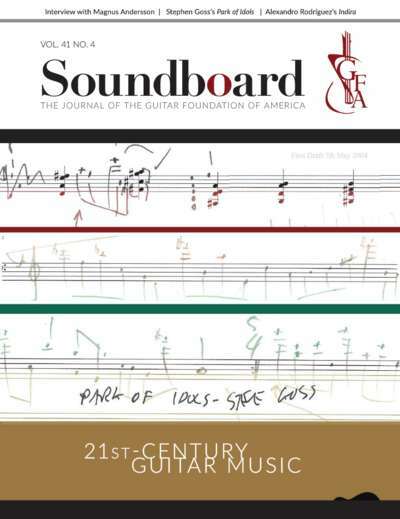 There are chapters on sight reading, transcribing, arranging, editing, improvisation and composition. I wrote this short series of articles in 1987 as part of my studies at the Royal Academy of Music in London. 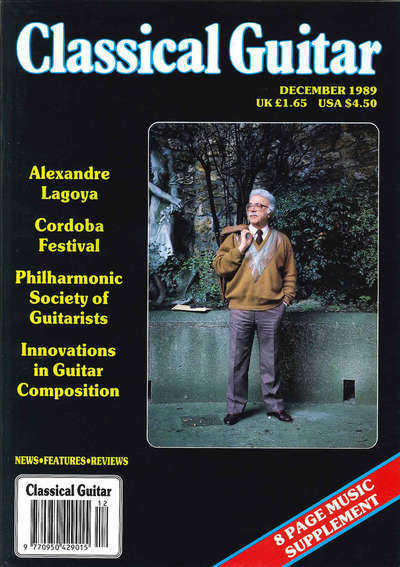 The articles were published in four instalments in Classical Guitar Magazine from October 1989 to January 1990.